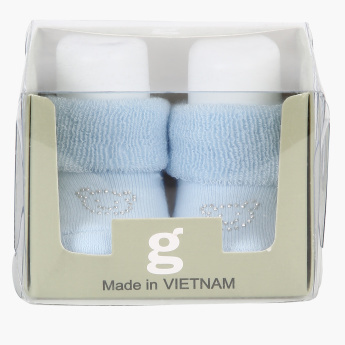 Simple and stunning, these embellished booties are a must-have for your little one. Crafted from superior quality soft fabric, these booties will lend comfort and warmth to your little one. 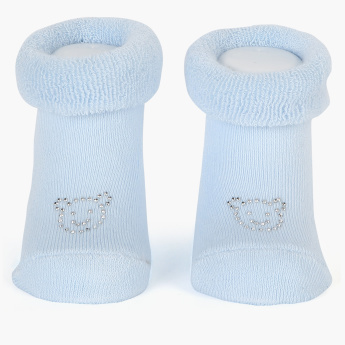 Features : Helps to keep baby feet warm and comfortable .